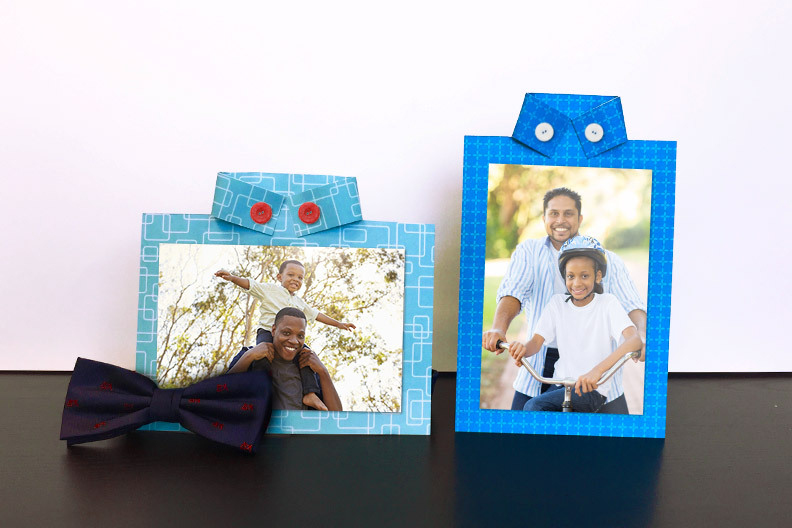 It’s time to celebrate Father’s day, and what better way to show dad some love than with this easy to make gift that showcases those special moments with him. 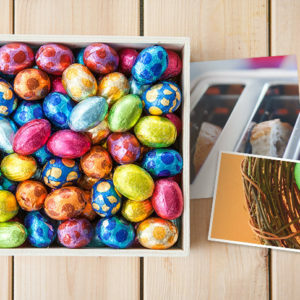 All you will need is: card stock, decorative paper, scissors, glue, buttons, and photos you want to frame. 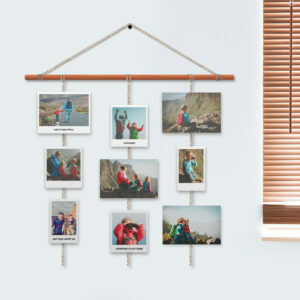 Visit walmartphotocentre.ca to upload and print your favourite photos of dad. Once you’ve gathered all of your materials, select the paper that you’d like to use for the shirt. 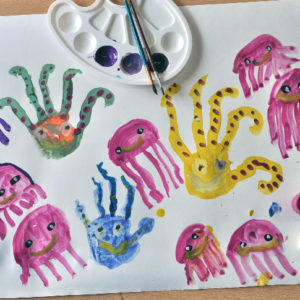 You can use a solid or decorative sheet of paper, just make sure it suites Dad’s style! Cut the sheet of paper into a 6×7” rectangle. 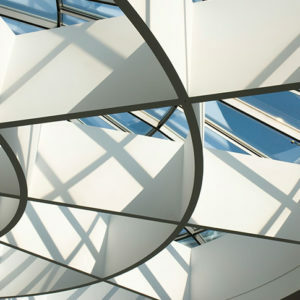 Once you have your rectangle you’ll need to measure 1” from the top and make a 1 ½” – 2” slit on each side of the sheet. The two new flaps will be folded in order to create the shirt’s collar. 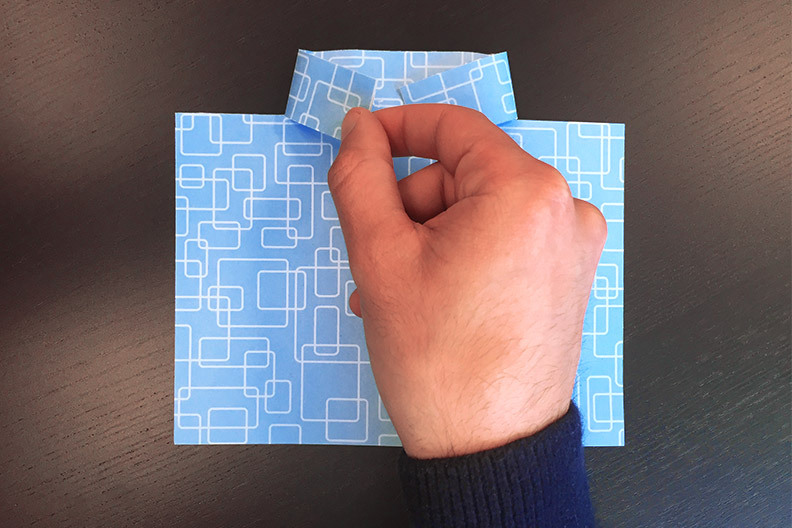 If you’re using decorative paper that is white on the reverse side, remember to cut a 1” strip that will span across the width of your sheet and glue it onto the back of the shirt collar. This will ensure that the collar has the same pattern as the shirt when folded. Now fold the collar flaps until they meet in the middle. To make the frame stand, download the template provided here. Once printed, cut and glue to the back of the frame as shown above. 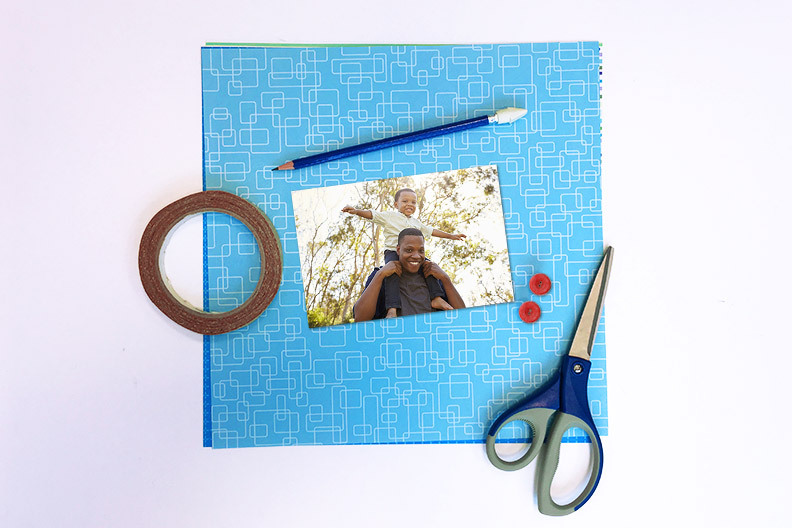 Glue your favourite moment with dad, and your frame is done! 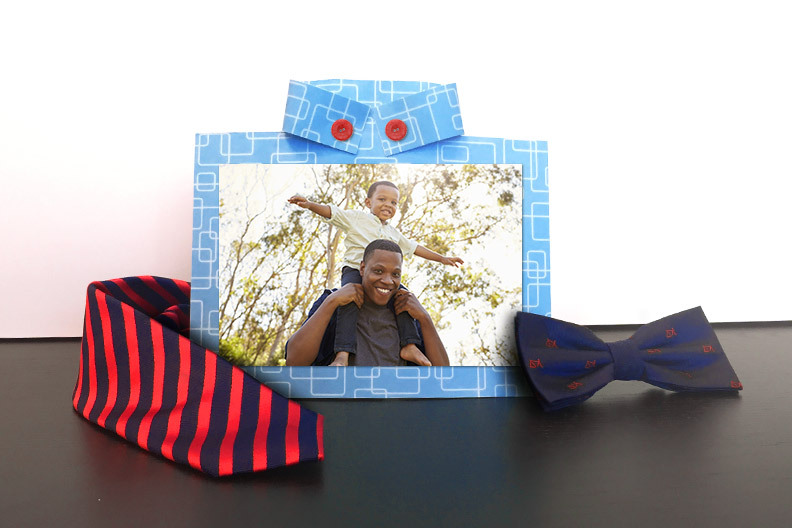 Give it to him this coming Father’s Day, and reminisce about your most precious time with him. Happy father’s day to all the amazing dads!